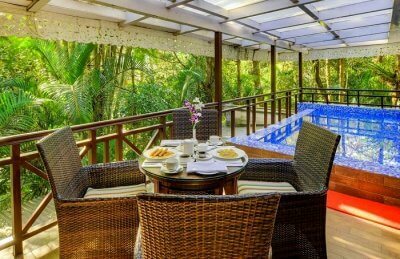 Its perfect setting amidst the Himalayas with spectacular views of the Kanchenjunga, its warm and friendly people and ample opportunities for adventure sports in Gangtok, make Sikkim’s charming capital an ideal vacation destination any time of the year. 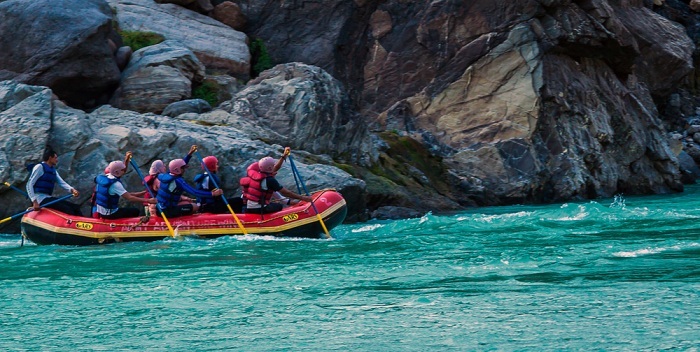 Often called the lifeline of Sikkim the Teesta river gushing through this natural paradise offers one of the most thrilling river rafting near Gangtok. Sitting in your raft, oars in hand and lifejacket safely belted one can feel the rush of adventure even before setting off on this thrilling ride. While you manoeuvre through the mighty rapids and feel the thrill of adventure, you also get a chance to witness picturesque landscape that passes you along the river. There a few experiences as thrilling as soaring in the skies while soaking in the breathtaking views as you glide along like a free bird. One of the most popular adventure sports in Gangtok, paragliding is an experience to remember. 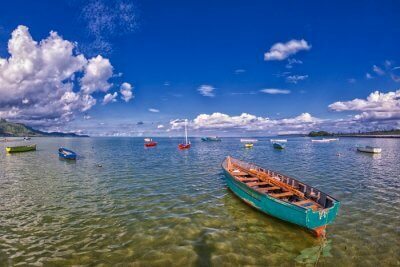 Adventure companies offer tandem flights with experienced pilots for a safe and exhilarating experience. With excellent launching ridges as well as surreal views of the Himalayan valleys and villages, paragliding in Gangtok is amongst the best in the country. Price: A medium flight lasting around 10 minutes begins from INR 2500/person. A GoPro video recording incurs additional cost. Though very similar to paragliding yet a lot more thrilling, hang gliding is another adventure sports in Gangtok you must not miss out on. 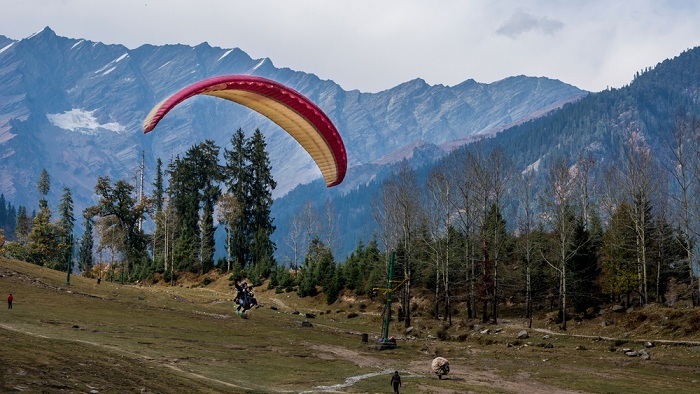 A recent addition to Sikkim’s adventure offerings, hang gliding is all about truly experiencing the joy of flying over mountains, valleys and colourful hamlets strapped to the bird-like wings. Piloted flights are available for the first-timers while experienced adventure junkies can opt for solo flights for that exhilarating experience of freely gliding over picturesque landscapes. Price: Starts from INR2500/person. GoPro camera recording incurs additional cost. 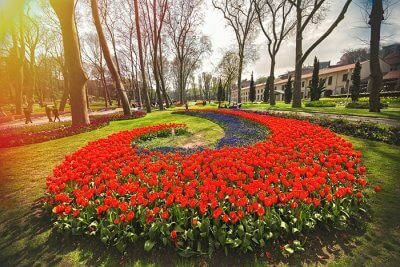 There is no better way to let a place unravel its secrets than biking through the countryside off the beaten path. The rugged mountainous terrains and dramatic Himalayan landscape around the city make mountain biking an exciting option for adventure sports in Gangtok. You can bike along the myriad trails in Sikkim, soaking in magnificent views, interacting with the local villagers for a taste of Sikkim’s culture while feeling the rush of adventure meandering along the valleys. 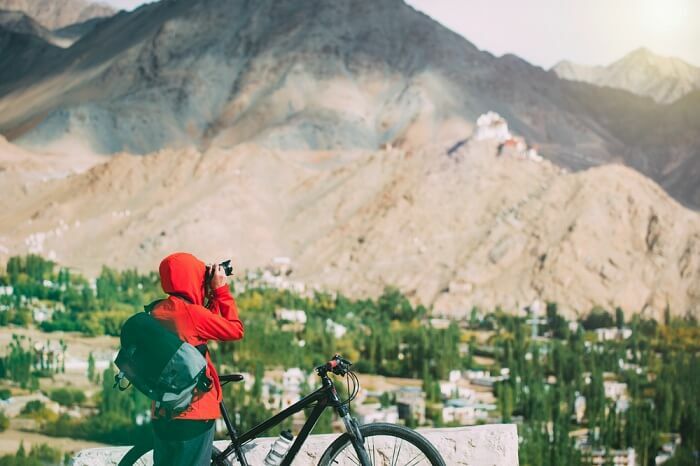 Best Places for Mountain Biking near Gangtok: The Gangtok-Rangpo, Gangtok-Melli and Gangtok- Temi biking trails are great to experience the magic of Sikkim. Price: Mountain bikes are available for hire or provided by professional mountain biking tour operators. 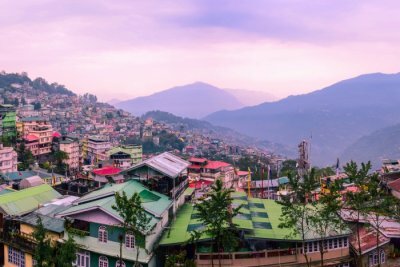 Nestled amidst the Himalayan ranges, Gangtok is the perfect starting point for many treks and hikes across the mighty peaks and passes while witnessing the unspoilt natural beauty all around. Each one of these treks offers breathtaking views of the snow-clad mountains, and take you through pristine valleys, gushing waterfalls, tranquil monasteries and blooming rhododendrons(during spring). 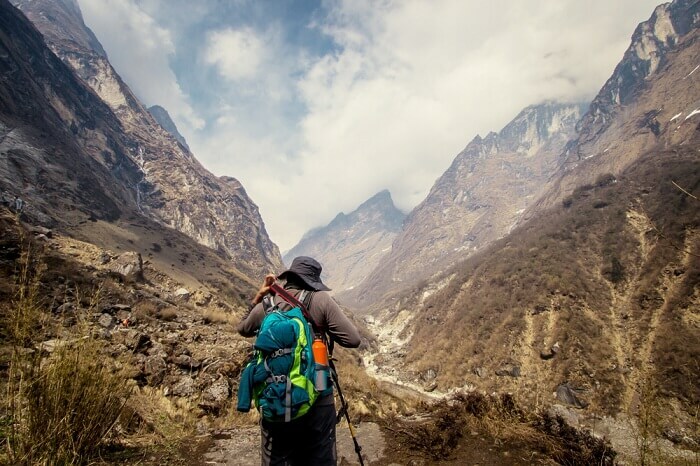 Best Treks around Gangtok: The Sandakphu trek, Dzongri trek, Goechala trek and Green Lake trek are amongst the most popular ones. For professional mountaineers, the Kanchenjunga trek is an adventure to remember for a lifetime. 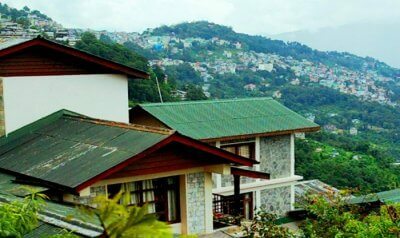 Gangtok has many more exciting experiences to offer for those seeking thrill and adventure in this beautiful state. From Yak safaris to cable car rides and Caving opportunities, there is something for everyone looking for a brush with adventure. And to experience it all and more, book a Sikkim Package from TravelTriangle and include it in your customized itinerary.